The project has taken place in the northern Peruvian Amazon, next to the Ecuadorian border, in the territory of the Quechua indigenous people from the Pastaza river basin, whose ancestral territory has been affected by oil industry activities since the end of the 1960s. 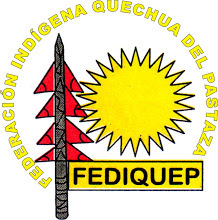 The project has allowed us to build a system on cloud-based on tools of collaborative mapping (Google forms, spreadsheets and fusion tables and Picasa) to manage and publish online the information about oil spills collected by an indigenous monitoring team of the FEDIQUEP (the Federation of Quechua Indigenous People of the Pastaza river basin). After solving some technical difficulties (synchronization of Google spreadsheets and fusion tables and automatic reprojection from UTM to GCS), a technician from the ICTA-UAB travelled to the Peruvian Amazon for six weeks to train the indigenous team to use Google forms and Picasa. He also set up the computers at the FEDIQUEP office to make it easier for them to access to the forms. We jointly improved the FEDIQUEP blog (http://monitoreofediquep.blogspot.com.es/) to automatically publish this data online, and trained the indigenous leaders to use the blog so that they can show the oil spills that occur in their territory to the Peruvian authorities when they hold meetings with them. Information on 27 oil spills can already be accessed through the blog. The two workshops with the indigenous monitoring team and the authorities of FEDIQUEP took place in Nuevo Andoas, an indigenous community far upstream in the Pastaza river, and in San Lorenzo, the last mestizo village where FEDIQUEP has its office. Nine monitors, two indigenous leaders and a local technician that supports FEDIQUEP participated in the workshops. The main aim of the project was to put cloud-based, low-tech tools in the hands of threatened indigenous people to link them to government policy-makers and national and international civil society to prompt both the Peruvian state and the oil companies to take the necessary steps to mitigate the environmental and health impacts related to oil extraction activities. During 2013, as a result of the historical denunciation by the native communities and their federations (FECONACO, FEDIQUEP, FECONAT and ACODECOSPAT), several inspections were conducted in the area by the National Water Authority (ANA), the Environmental Health Agency (DIGESA) and the Regulatory Body for Environment (OEFA). As a consequence of the analysis conducted, Peru declared an environmental state of emergency in all the Pastaza basin on 25 March 2013 (Ministerial Resolution Nº 263-2013-MINAM). On 7 September 2013, Peru also declared an environmental state of emergency in the upper part of the Corrientes river basin (Ministerial Resolution Nº 263-2013-MINAM), also affected by the same oil concession. We plan to further develop this system and to try to solve the problems of connectivity (a major problem for project was slow/intermittent internet connections) with the involvement of Digital Democracy (a US-based NGO). They will develop software to allow the submission of data offline. We also plan to expand the current monitoring of oil spills to broaden the set of variables using the framework of Citizen Science, Volunteered Geographical Information and Participatory Learning and Action. Building on local spatial knowledge, collaborative research and crowd-sourced databases, we will expand the participatory monitoring to chemical parameters by the use of cheap and user-friendly sensors (see here and here). In the wake of the declaration of environmental states of emergency, several state institutions are using the database of oil spills produced by the monitoring system to assess historical environmental damage caused by petroleum exploitation in the region and to select the sites where samples should be collected to conduct chemical analysis. At the same time, both the Environmental Ministry and AIDESEP (Asociación Interétnica de Desarrollo de la Selva Peruana / Interethnic Association for the Development of the Peruvian Rainforest) are interested in expanding that participatory monitoring system to other territories and to officially include it in the national environmental supervision programme of extractive industries activities. We will work for this to happen. At the same time, we are also working with researchers from ISS, Universidad San Francisco de Quito and several local NGOs, to expand the project in Ecuador and Bolivia.